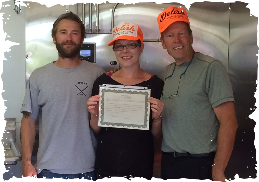 Delish Donuts & Coffee, LLC is a small, family-owned business operated by Karyn-Ann. With the help of her family and friends, she created her life-long dream to open a special place where bakery magic happens. Delish Donuts & Coffee reflects Karyn-Ann’s passion for good food and a friendly place in which to eat. She uses the best ingredients for her donuts and glazes and always serves them fresh from the donut fryer. She offers award-winning Caffe Ibis coffee roasted in Logan, Utah as it reflects her taste in top-quality food products and service. Karyn-Ann lives with her family in the outdoor paradise of Star Valley. They enjoy everything this area has to offer including skiing, hunting, and fishing. 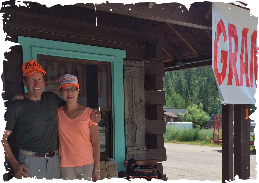 The community that surrounds Delish reflects Wyoming's values of helping your neighbors and enjoying the great outdoors. Come join them for a few mini-donuts, a freshly brewed cup of coffee, and a friendly atmosphere. Delish Donuts & Coffee – Always Fresh, Fun, and Delish!